It takes an awful lot to slow down Rocky Powers, the hard-working leader of The Fuller Center for Housing of Greenwood/Leflore in Greenwood, Miss. But temperatures topping 100 degrees qualify as an awful lot. Powers has been busy helping the city of Greenwood use part of its $625,000 grant from the Foundation for the MidSouth, but the record-breaking heat that has already gripped Mississippi and is projected for much of the nation this weekend forced him to take a break from the labor. “It’s so hot that you can’t work on these roofs right now,” Powers said of the main repairs that The Fuller Center is addressing in Baptist Town, in addition to plumbing work and other emergency repairs. 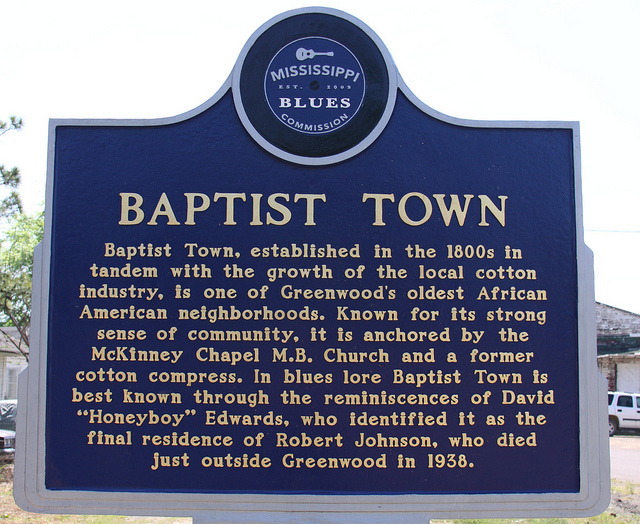 With the grant’s stated purpose “to assist with efforts to expand quality of life outcomes for city residents by focusing on revitalization of the historic Baptist Town community,” the city turned to Powers and The Fuller Center, which has already made great strides in the community. They’ve been asked to oversee repairs to a dozen homes in the community where much of the recent Oscar-nominee “The Help” was filmed. The Fuller Center already has finished four of the 12 projects, utilizing the city’s grant funds of $5,000 per house and using inmate labor. Powers said they will finish eight more by November. But Lyman-Barner also noted that Powers and others are wise to be wary of the heat right now and take advantage of the opportunity to focus on other aspects of The Fuller Center’s housing ministry, such as fundraising, planning and building relationships with churches and other groups. in existing homes and insure new ones are built to high energy-efficiency standards. Click here to contribute to our work!